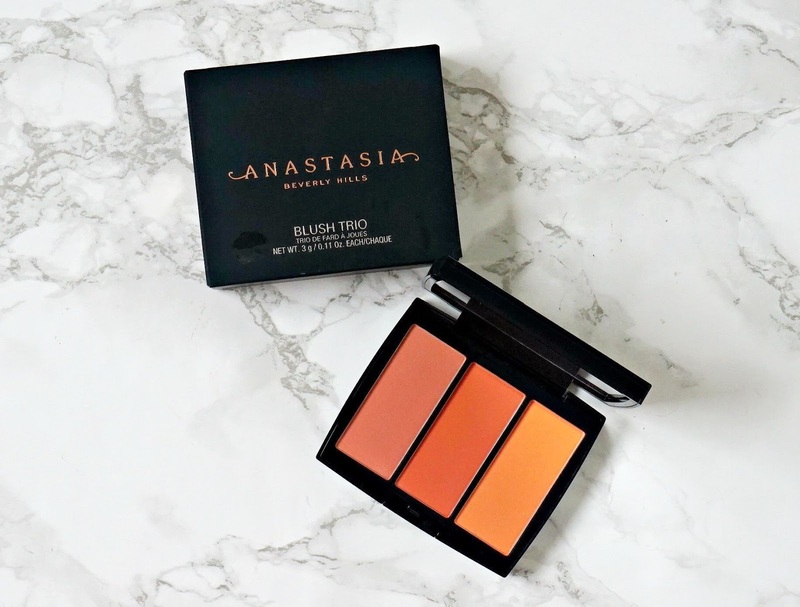 I'm a fan of peach blushes (see post here) and I'm a fan of Anastasia Beverly Hills products so naturally when they recently released blush trios in five different colour options, I bought Peachy Love! At £27, they aren't the cheapest blush palette out there but given there are three blushes in the palette, it's not extortionate either. It comes in the signature black Anastasia Beverly Hills packaging with the gold logo, which feels pretty sturdy and has a mirror inside the lid. Inside are three different shades of blush - all extremely pigmented and I must admit that they looked quite scary initially! From left to right, they are Nectarine - a matte dusty peach, which is my favourite shade, Ginger - a matte coral and Miami - a matte orange/peachy shade that has some gold shimmer running through it. Anastasia Beverly Hills eyeshadows are among my favourites in terms of texture and longevity and these blushes are no different - they have a very silky feel to them and they apply and blend like a dream but (for me, anyway!) a very light hand is needed due to how pigmented they are but they can be built up if a deeper intensity is preferred. They are extremely long lasting on the skin - similar to the Tarte Amazonian Clay 12 hour blushes - probably some of the longest wearing that I own. 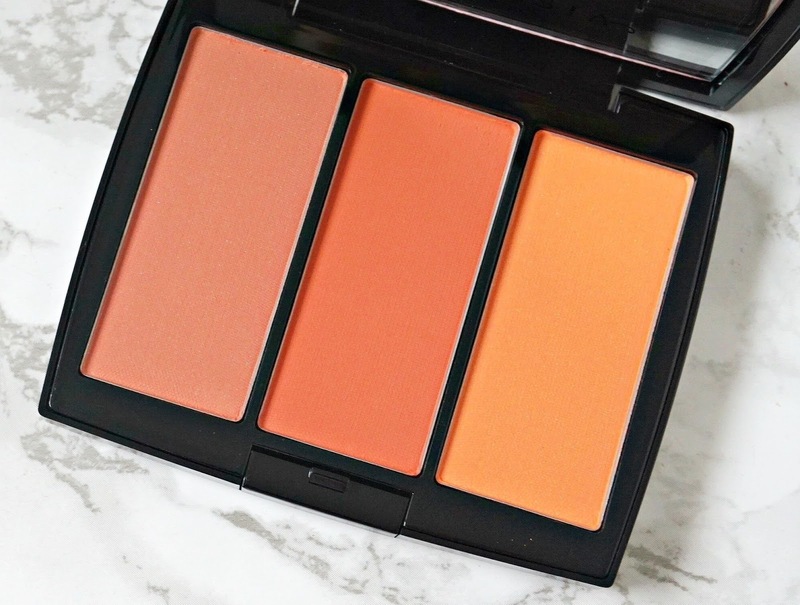 Overall, I am happy with this blush trio and have my eye on the Pool Party Trio next! They are £27 or $30. 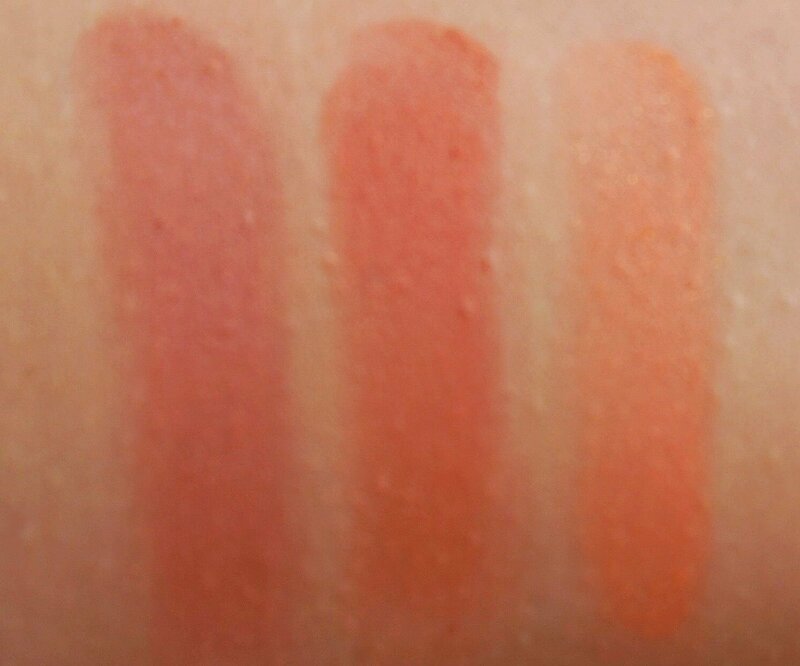 Have you bought any of the Anastasia Beverly Hills blush trios or are you tempted by them? Don't miss your chance to win a Becca x Chrissy Face Glow Palette here!